Fact: Our team has over 18 years of professional experience helping families grow. 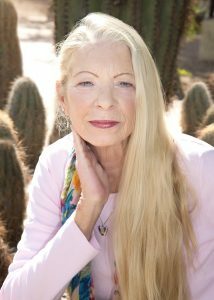 Mary M. Fusillo, RN, BSN, MS is the founder and Executive Director of The Donor Solution. 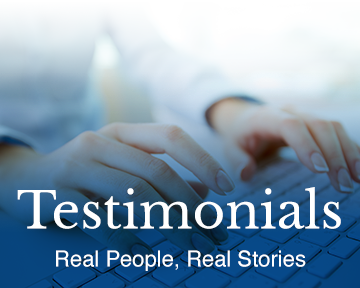 Mary was introduced to the area of Reproductive Endocrinology and Infertility while facing her own challenge having children. As the Clinical Nursing Director of an Infertility clinic in Houston, she was instrumental in starting the Donor Egg program and recruiting their first donors. This program went from one donor in the Fall of 1999 to over 120 in 2004. Moving to the greater Washington, D.C. area, Mary become the Clinical Infertility Nursing Director at one of the oldest and most prestigious infertility clinics in the United States. With over 200 cycles of donor egg per year, managing donors and recipients while introducing new recruitment methods was a challenge. Recruited by one of the largest Pharmacy Benefit Management companies to run their Donor Egg pharmacy program, she traveled all over the country, consulting large and small clinics on issues that effect egg donation nationwide. She is a member of the Nurses Professional Group of the American Society of Reproductive Medicine, a former National Board Member of RESOLVE, Inc., and current member of RESOLVE’s Nurse Advisory Council. 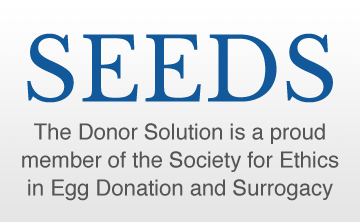 Her volunteer work in the field of infertility led her to found “Donor Moms, a network of support for mothers via egg donation”. Her dream has always been to bring donors and recipients together in a professional and caring way. When her own dream of motherhood was realized over 18 years ago, the concepts for The Donor Solution were also begun. As the mother of twins, Hank and Katie, and the wife to a busy executive in the energy industry, Mary realizes how important your time is and how difficult this journey may be. The Donor Solution is here to help you find the solution to your family building needs. Julia functions as the manager of all donor activities for The Donor Solution. With a Psychology and Business degree from Lake Forest College, Julia has worked in customer relations and values a personal touch. She came to us from Los Angeles where she was working in the film industry, until she decided she wanted something more fulfilling. She found her niche at The Donor Solution, and using her organizational skills and client-focused approach she expertly manages the day to day operations for all our donors. From first application, to setting appointments, organizing the cycle, and arranging complex travel arrangements for donors, Julia manages to keep everything and everyone running smoothly. Claire Taylor has a strong background in marketing and communications and was a Lobbyist for the Agricultural Industry in Washington, D.C. after college. Claire was drawn to work for The Donor Solution after experiencing infertility in her own life. As the General Manager of the Dallas region, Claire is responsible for the coordination of North Texas donor cycles as well as marketing and donor recruitment. Additionally, she is the physician liaison for the Dallas-Fort Worth area. Claire received her B.S. in Communications from Texas Tech University and resides in the Dallas area with her husband and two children.